The Dark Teal: most wanted. part 1. Quero MUITO um colete de pele* branco. Quero muito e não encontro! [Acho que] já procurei pela web inteira, todas as lojas nacionais e internacionais de que me lembro. Será que está assim tão fora [de moda]? Pede-se a quem o encontrar que me avise. Vou ficar para sempre agradecida. Quero muito! 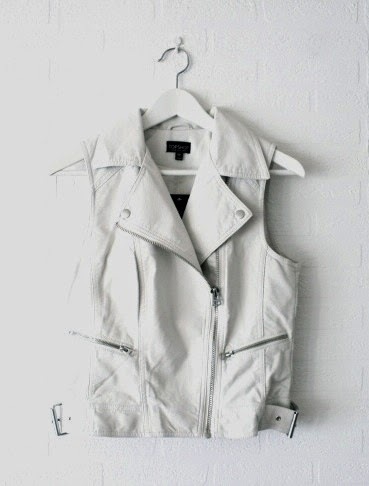 I want VERY MUCH a white leather* waistcoat. I really want and I can not find! [I think] I already have searched the entire web, all national and international stores that I remember. Is it so out [of fashion]? I you find it, please let me know. I'll be forever grateful. I really want it.